The loss at Godison Park can be his final game as Chelsea boss. Chelsea are going through tough time. What started as a wonderful season for them is now turning out to be a bad one. They are yet to register their second away Premier League win in 2019. 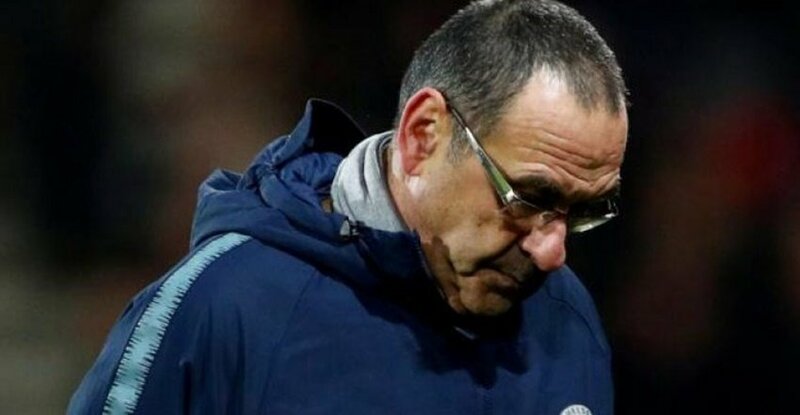 After defeat away to Everton on the weekend, it looks like Sarri-ball is once again on trial at Stamford Bridge with Chelsea dropping ground in the race for the top four. It’s yet another block in the road for Maurizio Sarri this season who has struggled to implement his philosophy at Stamford Bridge and that 2-0 loss has now led to even more suggestions he might be ready for the sack in the coming international break. Maurizio Sarri could be sacked by Chelsea before the Premier League returns at the end of the month, according to reports. Sarri enters the international break under real pressure after Sunday’s 2-0 defeat at Everton, which leaves the Blues three points outside the top four. Goals for Richarlison and Gylfi Sigurosson handed Marco Silva’s side a major win to put themselves 10 points clear of the bottom three, and condemn the Blues to a first loss since their Carabao Cup final penalty shootout heartbreak against Manchester City. The visitors enjoyed a dominant performance for the most part at Goodison Park yet were unable to convert their chances and ultimately left Merseyside with nothing, much to the frustration of their manager. The Blues are struggling to land a top-four finish in the Premier League. Former Napoli boss Sarri was only appointed back in the summer when Chelsea paid £4.4m to acquire him. They also sacked Antonio Conte at an estimated cost of £9m. But trigger-happy Roman Abramovich might now use the international break as space to sack Sarri and bring in a new manager. And it could well be a smart move for the Blues were they to ditch Sarri now. A failure to get to grips with ‘Sarri-ball’ has come alongside an over-reliance on Eden Hazard to provide the goals. Sarri ditched Alvaro Morata in January and brought in Gonzalo Higuain in an effort to bolster the Blues’ attacking prowess. But Higuain’s arrival has done little to transform this side which at times has looked rudderless this season. Sarri himself has already admitted he is struggling to motivate his players. And the Blues are in no position to sell half the squad and rebuild under Sarri now they have a transfer ban hanging over them. 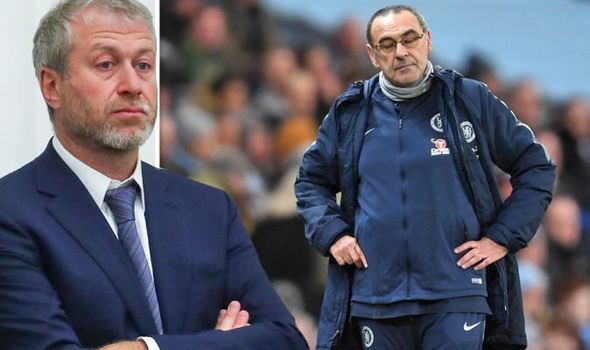 The ban, which runs for the next two transfer windows, means Sarri must work with what he’s got – plus Christian Pulisic in the summer – between now and summer 2020. But the manager may not be given that much time to sort out the issue. Owner Abramovich is well known for his willingness to sack managers in an instant. However, Chelsea must have patient with Sarri if they want titles in future.